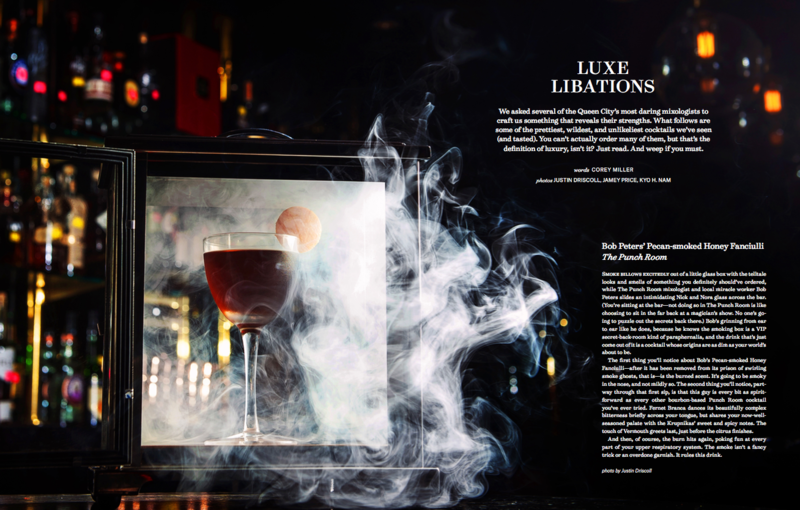 We asked several of the Queen City's most daring mixologists to craft us something that reveals their strengths. What follows are some to the prettiest, wildest, and unlikeliest cocktails we've seen (and tasted). You can't actually order many of them, but that's the definition of luxury, isn't it? Just read. And weep if you must. This entry was posted in Press and tagged article, bars, bartender, best, Best bartender in Charlotte, Best cocktail bar, Best mixologist, Bob Peters, bob the bartender, bobthebartender, Charlotte, cocktail, Cocktails, Corey Miller, james beard, mixologist, mixology, outstanding bar program, punch room, punch room ritz, QC Exclusive, the ritz, the ritz charlotte, The Ritz-Carlton.